Holly House01485 572935work Guest AccommodationRelax in this small family-run bed and breakfast in Heacham, north west Norfolk. The detached period house is in a peaceful and secluded location, close to the unspoilt, safe, sandy beaches of the Norfolk coast and within walking distance of Norfolk Lavender. There is easy access to the renowned RSPB reserves at Titchwell and Snettisham. Relax in this small, family-run bed and breakfast in Heacham, north west Norfolk. The detached period house is in a peaceful and secluded location close to the unspoilt, safe, sandy beaches of the Norfolk coast and within walking distance of Norfolk Lavender. There is easy access to Sandringham, Hunstanton and the renowned RSPB nature reserves at Titchwell and Snettisham. 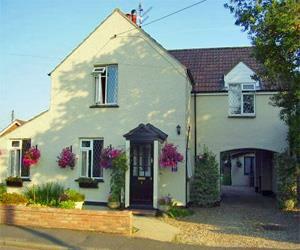 Relax in this small family-run bed and breakfast in Heacham, north west Norfolk. The detached period house is in a peaceful and secluded location, close to the unspoilt, safe, sandy beaches of the Norfolk coast and within walking distance of Norfolk Lavender. There is easy access to the renowned RSPB reserves at Titchwell and Snettisham. Off A149 by Norfolk Lavender Fields. First left after Jet Garage before Norfolk Lavender this is Broadway. 600 yards down on left just before school. From King's Lynn Bus to Wheatsheaf Pub Heacham. Walk down High street turn left into School Lane, turn left at school. 1st house on right past school.